Preferred 阅读 Material: Fiction 或者 Nonfiction? a comment was made to the poll: What's 更多 annoying? a comment was made to the poll: 3 图书 That Have Entranced Me: Which do 你 prefer/looks most interesting? a poll 增加: 3 图书 That Have Entranced Me: Which do 你 prefer/looks most interesting? a comment was made to the poll: Do 你 like 图书 that are about nature 或者 heavy with nature imagery? a comment was made to the poll: What kind of 设计 does your book mark have? 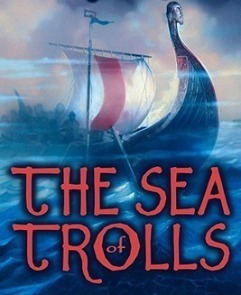 Who is the 作者 of "The Sea of Trolls"?